Are you familiar with those eye-catching egg shaped fiberglass trailers made by Scamp? How about the 5th Wheel Version? 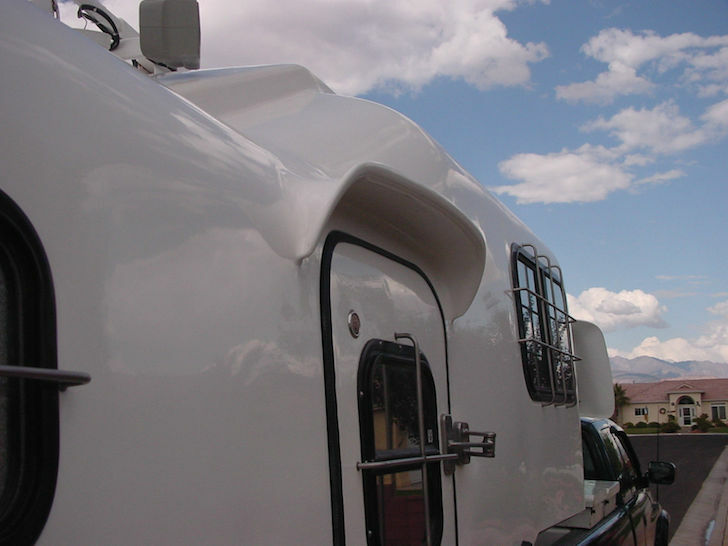 While not as common as the traditional trailer, Scamp has been making several different size Fifth Wheel Trailers for a number of years. 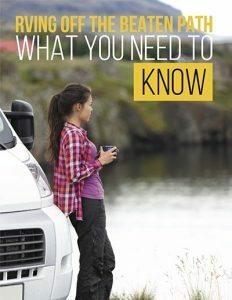 The Scamp Fifth Wheel is known to be a lightweight and easy to tow alternative to its much larger and boxier cousins. 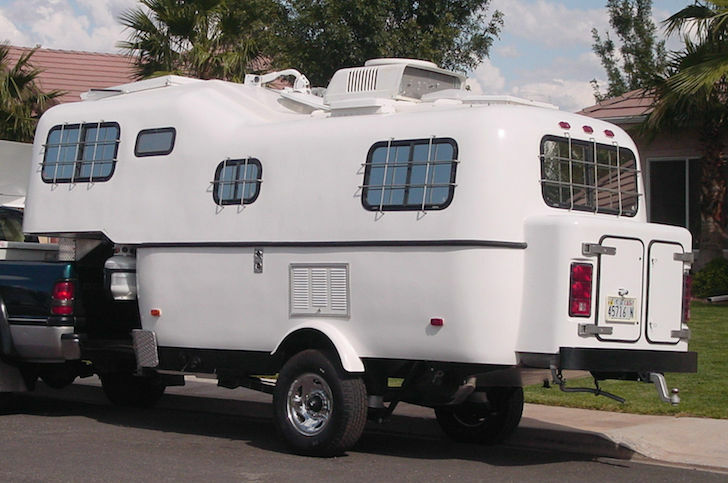 Are you ready to see the ultimate go-anywhere souped up Scamp Fifth Wheel Trailer? 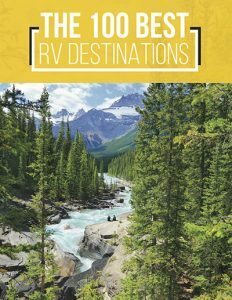 The owner of a 2003 21′ Scamp Fifth Wheel spent over $25,000 and nearly five years renovating his trailer to be ready for rough roads and long trips off the grid. The owner didn’t change the basic shape of the Scamp. He liked its under 7′ wide body that made parking a breeze, but he did make some modifications to the windows and body. 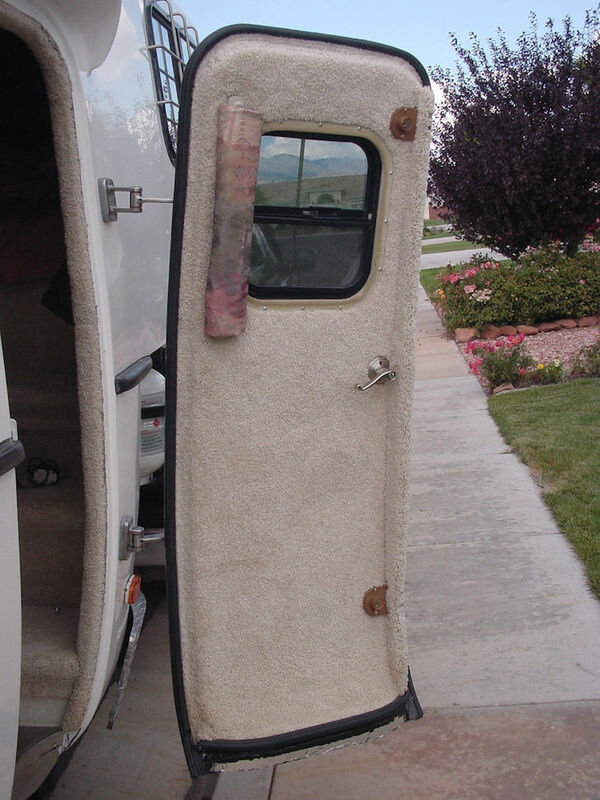 Modifications such as stainless steel guards on the windows and a 1-inch steel frame around the door. 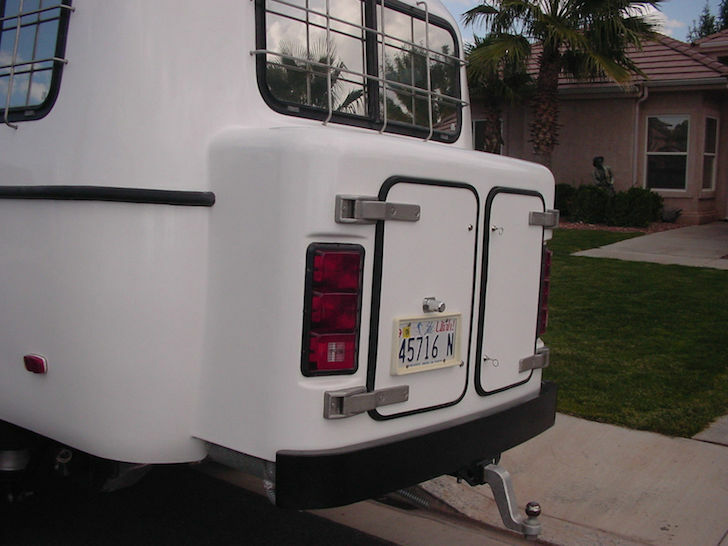 The Scamp was stripped down to the fiberglass shell and a storage compartment was molded onto the back. Looks like it was part of the original design doesn’t it? Another modification to the exterior was the addition of an oversize sky light that opens in the rear over the bedroom. 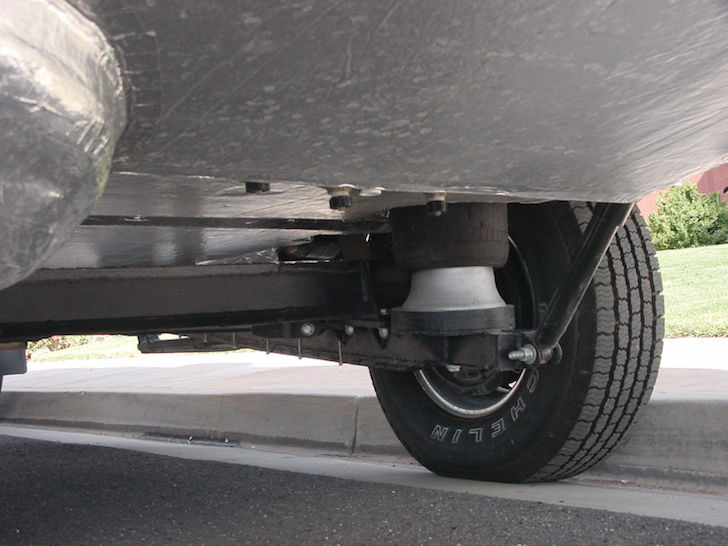 Underneath the trailer, the owner added a fully adjustable air ride suspension to give it that off-roading ability. 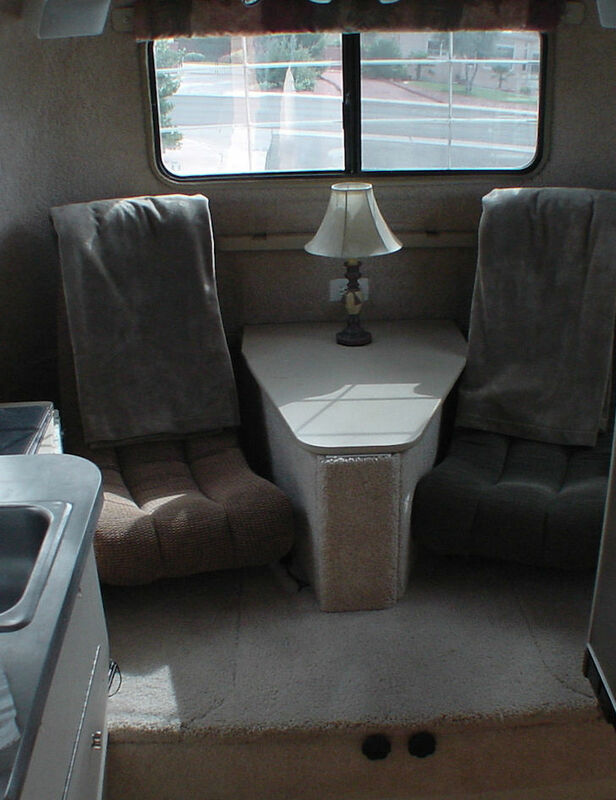 Inside the Scamp Fifth Wheel, there is a cozy sitting area for two. And carpet everywhere to give it that cozy feel. Even on the front door! 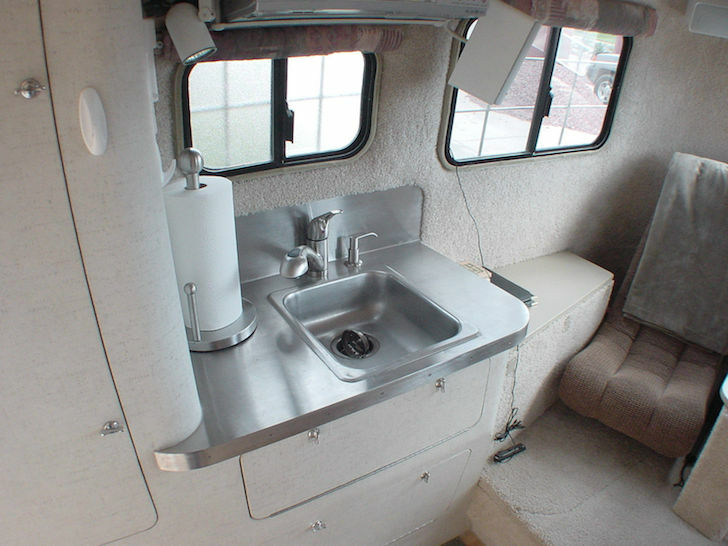 The kitchen features a stainless steel sink, cook-top stove, and sleek stainless counter tops. 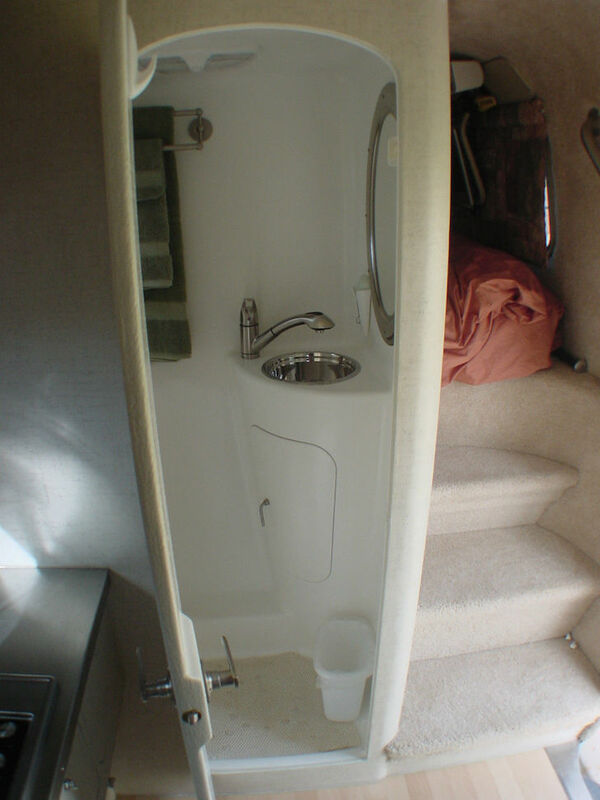 The bathroom has an all in one wet-bath with sink and shower. The owner upgraded the water tanks to a 70-gallon fresh water and 60 gallon grey/black combo tank. He also added a 10 gallon hot water heater. The owner added 3″ foam insulation to the floor insulation. 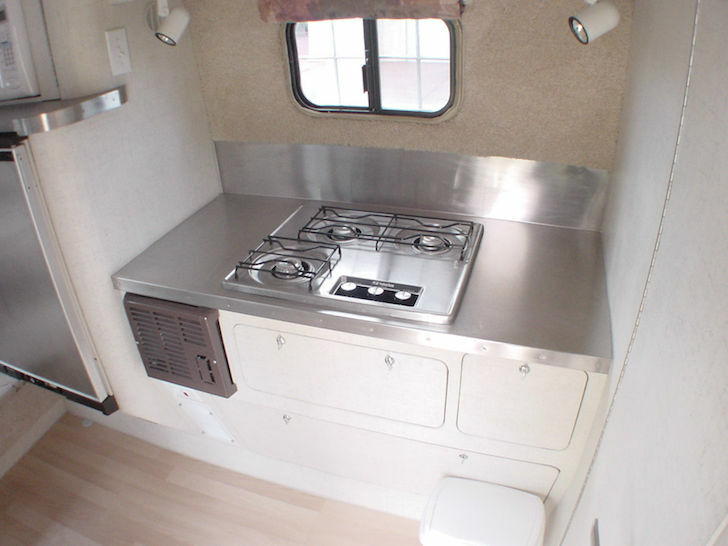 Along with the furnace this trailer is sure to be comfortable while camping off the grid. 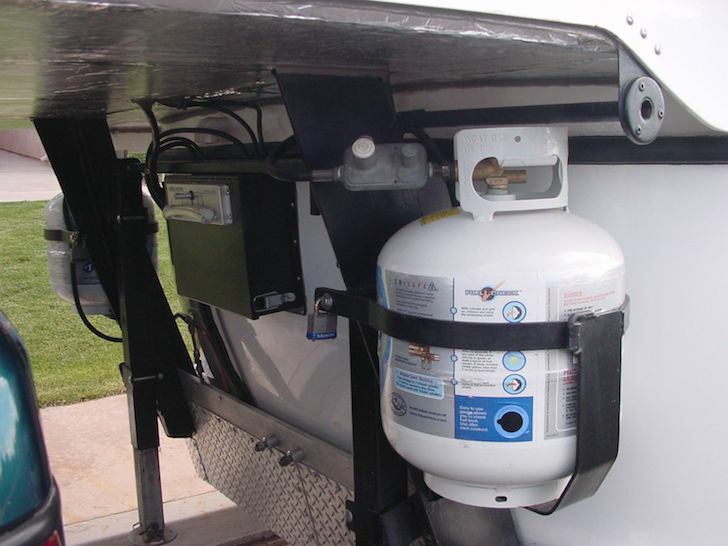 It also has two 20lbs propane tanks and a generator with a 13 gallon fuel tank. This amazing Scamp Fifth Whee sold on ebay in December of 2014. 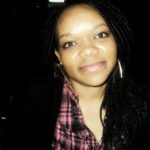 You can still see the original listing if you are feeling inspired and want to learn more. 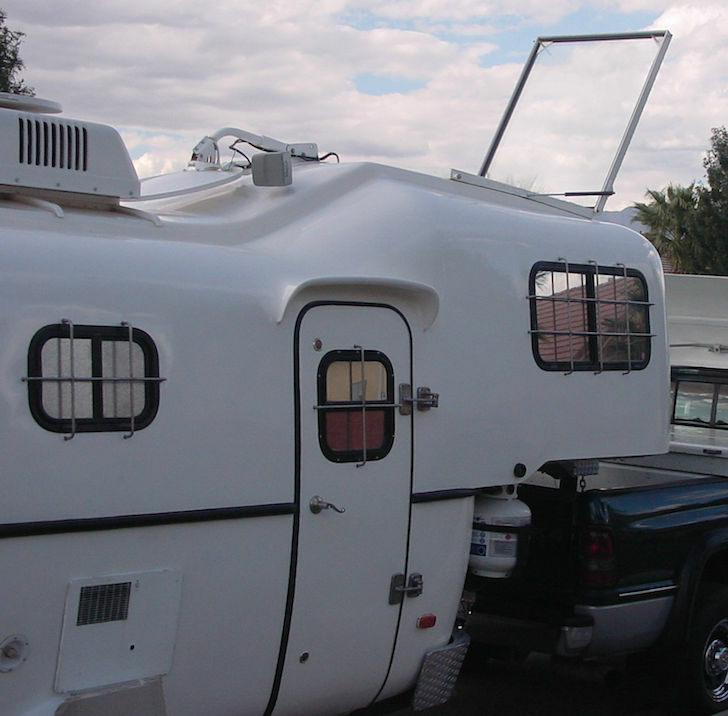 What do you think of this Scamp Fifth Wheel Trailer? Let us know in the comments below.